Spending the day at a racecourse with family or friends is always a thrilling event. Each year in the UK, millions place a bet – or two, take to the stands with their binoculars and will on their chosen horse to be first past the winning post. 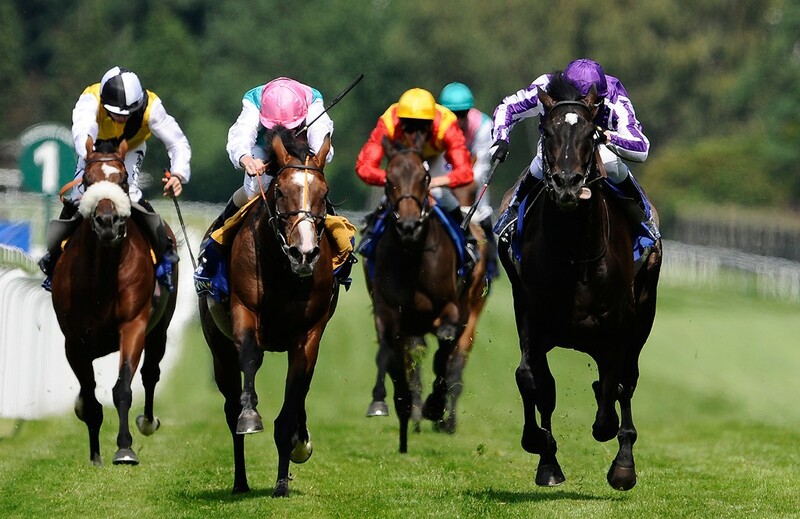 There are a number of historic and globally renowned horse racing events which take place including the Cheltenham Festival, the Grand National and Royal Ascot. Each is a colourful throng of jockeys in silks, fashion statements by those who visit and the opportunity to see some of the best horses in the world racing to win coveted prizes. This year, why not organise a day out to one of the most prestigious dates in the sporting calendar and as well as perhaps winning a race or two, dress up to the nines with a specially selected outfit. The major racing occasions of 2016 start with the Cheltenham Festival from 15-18 March. Known as ‘the Greatest Festival on Turf’, it is one of the most thrilling extravaganzas in the diary as over 200,000 racing fanatics gather across Champions, Ladies, St. Patrick’s and Cheltenham Gold Cup Days. There’s a whole host of places to view the action, from the famous Tattersalls Enclosure through to the hustle and bustle of the Guinness Grandstand. Cheltenham results from 2016 races are often an early indication of horses to watch over the coming months. For those who see race days as the chance to dress up, Ladies Day this year is the perfect chance to pick out the first outfit of the season. The weather is unpredictable so it’s always advised that trend meets practicality and with no set dress code it’s a great time to pair designer coats with flowing scarves and classic wool suits. Hats are often worn but again, it’s about being warm and stylish rather than displaying high fashion. A one-off race each year which always has twists and turns. It’s set to take place on 9 April and will be the focus of millions around the world. The Grand National however is part of a longer racing festival which precedes the big event and starts on 7 April with there being another chance to dress up on Ladies Day on the 8th. Also known as Fabulous Friday, it’s time again to look for an on-trend outfit to suit the warming spring weather and to stand out in the crowd as the horses flash past the winning post. As with Cheltenham there is no dress code but organisers this year are looking for ‘smart and inspirational’ items to be worn. With this in mind and the strong possibility of April showers, look to wear a colourful suit or dress along with jacket and shoes which won’t sink into any mud. As a benchmark, think of the kind of clothing you’d don for a friends wedding and you’ll pretty much be on the mark. The ultimate date each year to combine the majesty of this great sport along with the attendance of many members of the British monarchy, Royal Ascot is the prelude to the British summer taking place from 14-18 June. Dress code is much more relevant at this occasion and for those really wanting to mix with the rich and famous there are a number of rules to follow. This perhaps is the most famous Ladies Day of all the racing fixtures and what you choose from your wardrobe depends on which enclosure you plan to be in. The choices are the Royal, Queen Anne or Windsor Enclosures and the entry criteria is more stringent depending on your decision. Dress lengths, size of hat, whether you can wear a trouser suit and whether your top can be strapless or not are all considerations you’ll need to make when you visit Royal Ascot. Racing is exciting whichever course you step onto but if you head to one of the great festivals this year, you’ll not only look fantastic but you’ll also have great memories of a vibrant day out.